Face it; we all love gadgets. I love them more than most. I have been running a lot lately, training, competing, etc. While running with my phone is an option for training; running long distances with my phone isn’t. Additionally, running through the muck and mud with a phone strapped to you is just asking for trouble. I set out on a path to find the OCRADDICT’s dream companion, a GPS training watch that can handle all the things we throw at it… and more. That means it needs to be durable, waterproof, include GPS (duh), and provide the functionality to track and improve my training. TomTom has been in the GPS game for a long time… a very long time. A number of years ago, they introduced a series of GPS fitness watches for those of us that broke the mold, the OCRADDICT. The watch’s durability and functionality were impressive enough to be officially recognized by the folks at Spartan and branded as such in their online store. 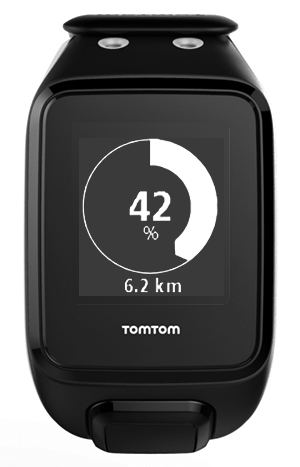 TomTom took all the things they learned from this, both good and bad, and applied it to their next generation watch, the Spark. 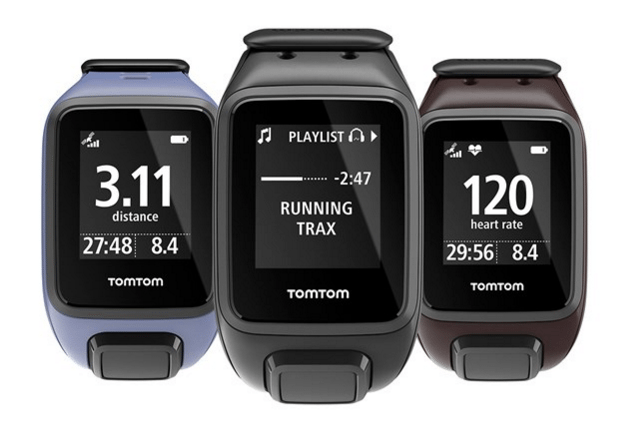 While there are many flavors of the Spark available today, there is one in particular that will interest most of the OCR enthusiasts, the TomTom Spark Cardio + Music. Additionally, the watch may not be fresh on the scene anymore, having been introduced in late 2015; however, I have been putting it through its paces since its introduction. As the details go, the Spark Cardio + Music’s battery life is based on a couple of criteria: Activity Tracking, GPS activity, and GPS Activity + Heart Rate + Music. 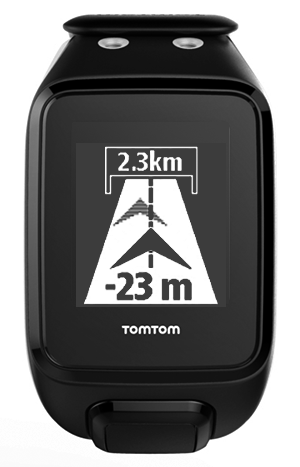 According to TomTom, these break down as such: Activity tracking: up to 3 weeks, GPS: up to 11 hours, GPS + Heart Rate + Music: up to 5 hours. The watch is waterproof at depths of 40m / 130 ft / 5 ATM. The display size is 22x25mm, and the + Music version has 3GB of internal space to store your music (MP3 + AAC). The watch weighs in at 1.76oz, features an accelerometer + gyro, compass, optical heart rate monitor, and sports Bluetooth for connectivity to your phone and headphones. 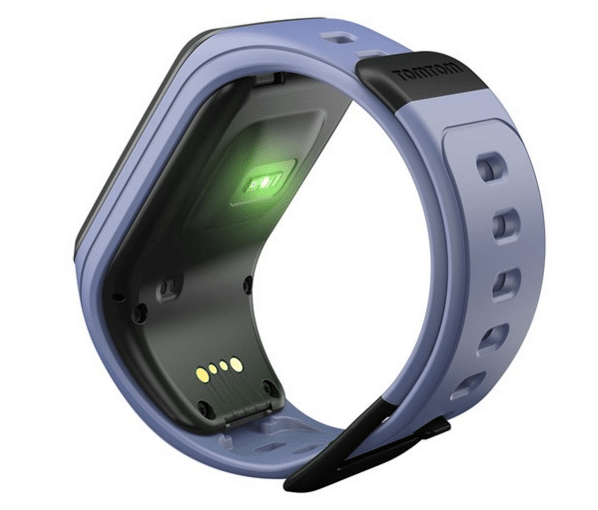 If you are the super geek (like me), you will find it interesting that TomTom decided to drop the Mio technology found in the Multi-Sport Watch for their heart rate monitor in this Spark and replace it with a sensor supplied by LifeQ. TomTom felt they had more control over the LifeQ supplied sensor. To get some of the marketing mumbo-jumbo out of the way, the Spark Cardio + Music features the ability to carry up to 500 songs along with you. It can track your activity 24/7, measure your heart rate, track all your sports, and allow you set and track goal progress. If you are interested more in how something looks than it functions, this may look more like a Toyota Prius to you than a Tesla Model X. The design is elementary to those of us that have become used to the flash and pizazz of today’s electronics. The face of the watch is somewhat bland, and its monochrome display will leave you wanting more; at least more color anyway. The Spark hides a backlight very well, there are no buttons to activate it. Instead, hold your hand over the watch and it will magically illuminate. Just below the LCD screen rests the 4-way button used for navigating through the watches menus and functions. The button serves the watch well for activities that leave you without the occasional break to try and touch the screen. If you have ever operated your phone while running, then you, like me, may have opened Facebook instead of Pandora. This is exaggerated greatly on devices with small screens as accuracy in touch is paramount. No need to worry, you cannot click something by accident. The menu functions are well defined and scrolling through your activities as well as the information presented during an activity could not be easier. While using the watch to track your activity, a simple quick click to the right, and the list of activities that you can track are presented to you, including one not listed above, stopwatch. Another quick click to the right and the Spark will start to get itself ready for your activity. If you are using a GPS based activity, like running, freestyle, cycling, you will have to wait until the GPS satellite can be located. In use, this can range from taking less than a minute to taking quite a bit. If you have the watch paired with your phone, you can enable and use QuickGPS. QuickGPS is a file that lists the expected locations for satellites in your location for the next three days. Some activities have further refinements. For instance, while waiting for the GPS fix while setting a running activity, a quick click on the rocker switch in the down direction will allow you to access the settings for the activity. For instance, I use the running activity more than any other activity, and I can set the watch to let me race against myself. The options for Training can be none, Goals, Intervals, Laps, Zones, or Race. None: Select this option to do your activity without using a training program. 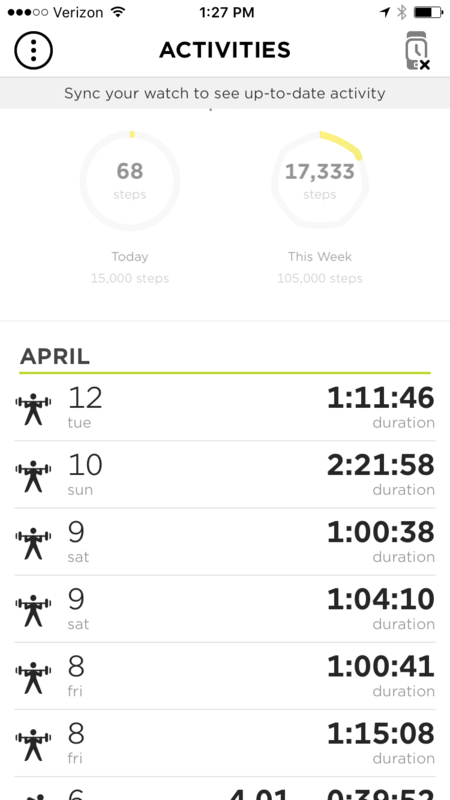 In this mode, your watch records your activity and shows metrics for your activity. Intervals: Interval training is short periods of exercise followed by rest. The main aim of interval training is to improve speed and cardiovascular fitness. For example, during a 20-minute walk-jog workout, you could do an 8-minute fast walk, followed by three sets of 1 minute running and 2 minutes walking, then a 5-minute walk to cool down. During interval training, you see an alert for the next stage of interval training. Laps: Select this option to measure your activity against set lap times, distances or by manually recording when you complete a lap. You can set your watch to measure laps in three ways: Time, Distance, and Manual. Zones: Select this option to train within a target zone. 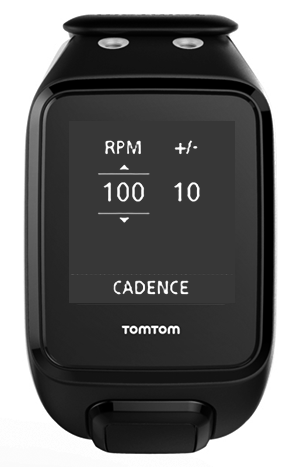 You can choose from the following zones: Pace, Speed, Heart, and Cadence. Race: Select this option to race against one of your ten most recent activities or race against an activity from the MySports website. You can use race for running, treadmill, freestyle and cycling activities. Your watch alerts you so you know whether you are in front (#1) or behind (#2) in your race. In this example, you are 23 meters (75 ft.) behind your previous activity, and you have a remaining race distance of 2.3 kilometers (1.4 mi). For many of us, running with music is the way to go. This is where TomTom accelerates. The Spark Cardio + Music offers up the ability to create various playlists for your running mood and host up to 500 songs. Adding music to your phone can be done through Windows Media Player, iTunes, or directly from your PC. Additionally, the Bluetooth functionality in the watch allows you to connect to your favorite pair of headphones. When using your watch with music, it is critical to note the limitations the watch has with media formats and bit rates. Although the watch states that it supports MP3 files up to 320kbps, I did experience frequent crashes. As soon as I converted them to a lower bit rate, all issues were gone. Artist, track title, and length are displayed in the following languages: English, Czech, Danish, German, Spanish, French, Italian, Dutch, Norwegian, Polish, Portuguese, Finnish and Swedish. Other languages may display correctly if only those characters available in a supported language are used. Artist, track title, and length for AAC is not supported. If you are looking for more than just a watch for training and working out, the Spark offers up some basic activity tracking. While many look directly to companies like Fitbit for things like this, the activity tracking in the watch does not lack in any way. The spark can track your steps, calories burned, distance moved, and active time. To further enhance the usability of the activity tracking you also have the ability to set daily and weekly goals. 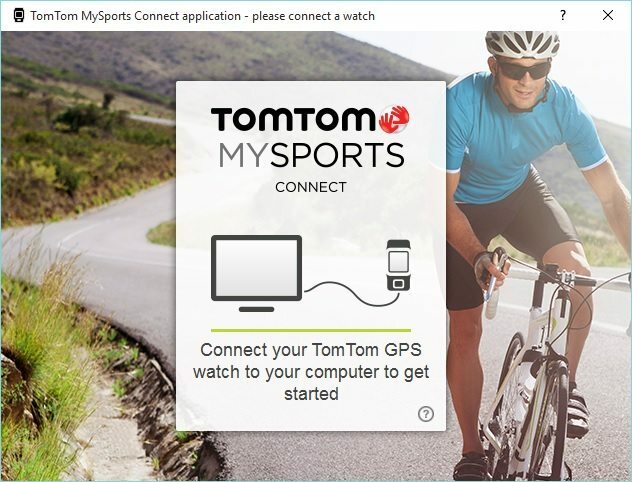 While the TomTom MySports App isn’t as elegant as the Fitbit app, it does the basics well. While I will save the review of the App and Website for another day, it is missing the most important aspect of activity tracking that Fitbit nailed, the social dimension; competing with your friends. As an activity tracker, the Spark is actually better than you might first think. I decided to put it to the test to determine its accuracy. To do this, I walked exactly 1000 steps. I take the starting step count before I start and the ending step count when I finish. The integrated heart rate monitor does a fine job of letting you know where you are in the spectrum of your workout. You not only have a visual display of your current heart rate, but you can also view the heart rate zone you are currently hitting in your activity. 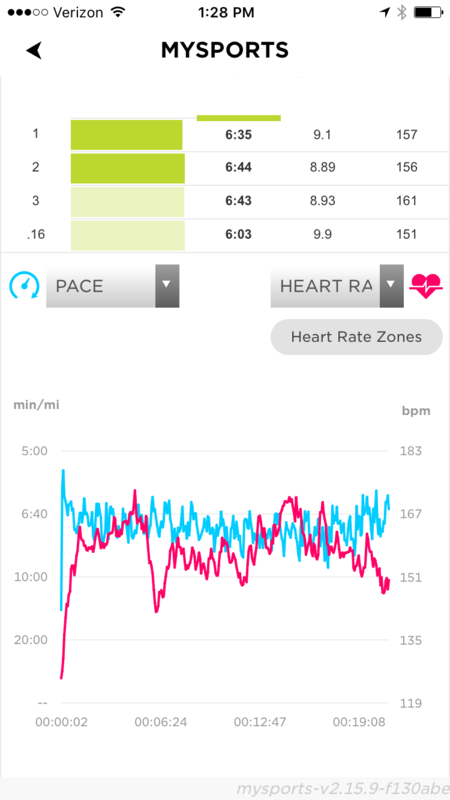 Heart rate monitoring is accurate and effective. In various experiments, the monitor seemingly indicated a similar reading to various heart-rate monitoring devices we tested with, including the hand-held heart-rate monitors incorporated into various treadmills, stationary bikes, and elliptical machines as well as competitive devices. Please keep in mind, the only true way to determine whether the heart rate monitor is accurate is to hook yourself up to an EKG, which I don’t have at my disposal. Setting up your watch does require the use of a computer for the first time, which makes the process a little more complicated for those that have ditched the laptop and desktop in favor of an Android or iOS devices. The configuration is quite easy and it does allow you to have the watch automatically export the results of your activities to other websites like Runkeeper, Strava, MapMyRun, MyFitnessPall, Endomondo, Jawbone, NikePlus, TaiwanMySports, and TrainingPeaks. The accompanying apps for the watch do a better than decent job of presenting your data to you. The MySports app is simple enough to navigate without documentation or thumbing through a manual. Your data is presented to you on one screen with more granular details available at your fingertips. 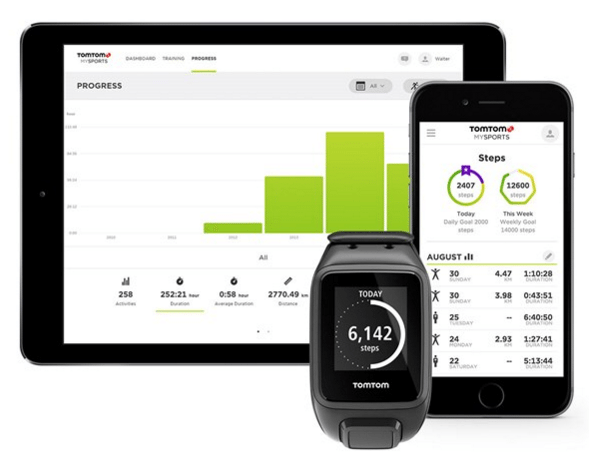 With a quick click, you can view your activity and some detailed stats related to your performance like Distance, Duration, Energy, Pace, Elevation, Heart Rate, and Stride Rate. 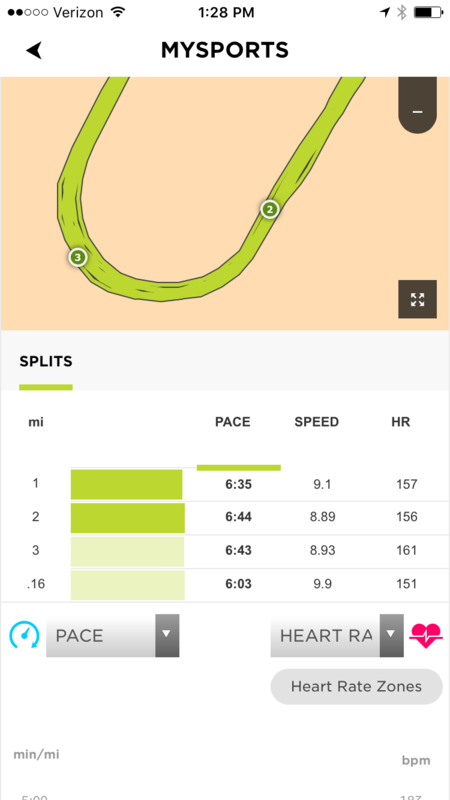 You are also presented with a nice map view of your activity (as long as it is a GPS based activity) as well as your splits and a graph that can display your pace and heart rate. The athlete in me is always looking for ways to improve my performance and the geek in me is always looking for the data to back any results up. Having the ability to compare myself in a current run to my performance in a previous run has really improved my training and subsequently, my performance. The TomTom Spark does a great job of tracking and presenting my data to me to help me make better decisions about my training and ultimately judge my improvements over a period of time. The watch is solid. I have worn this watch for nearly six months through martial arts classes (with sparring), through trail runs, on the track, in the rain, and through a few obstacle course races. The watch has earned some scars through its battles but it has always come out on the other end. While I can’t say that I am overly impressed with the display on the Spark, it does get the job done. Some may prefer to have a full-color display with fancy schmancy graphics, but there is also the utilitarian that exists within many of us that just wants the information presented to us… quick and easy. Overall, the TomTom Spark is a fantastic sports watch. It does everything I expect it to and does it without crying (there’s no crying in baseball). 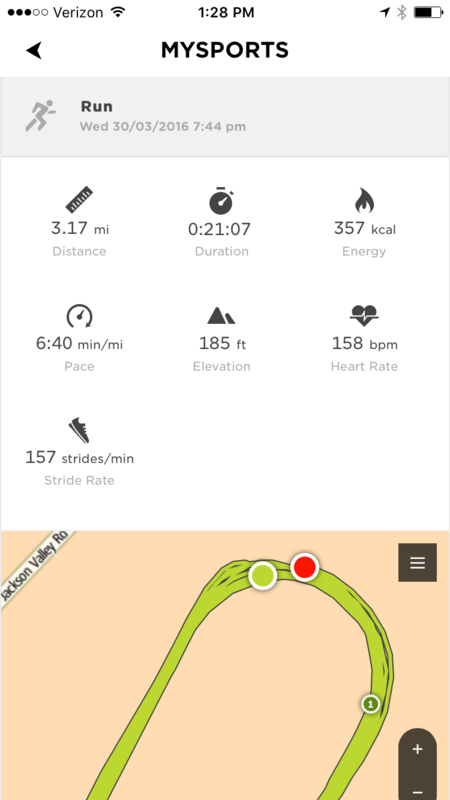 The ability track your performance and statistics through the MySports app is nice, but the ability to integrate with some of the most popular websites for runners is just flat-out awesome. Bottom line, would I buy one? I did.